Bird-booze lovers take note: Recent news has revealed that Napa Valley producer Duckhorn Vineyards has gotten in a snit and is suing the makers of Duck Dynasty’s Duck Commander wines. Here, other bird-bedecked wines. Bird-booze lovers take note: Recent news has revealed that Napa Valley producer Duckhorn Vineyards has gotten in a snit and is suing the makers of Duck Dynasty’s Duck Commander wines. This, of course, casts a dark and ominous pall over what, was looking to be a bright and cheery 2014; who can guess what will happen to us now. Regardless, there are a surprisingly large number of other good, bird-bedecked wines—good enough for people who don’t care about birds at all. At the bargain end of the scale, Covey Run’s 2009 Quail Series Cabernet Sauvignon ($9) is appealingly direct, with juicy cassis flavors; ditto the 2012 Smoking Loon Syrah ($10), which has a peppery tang, and would be good with, well, roast loon. Or duck. There’s also the gorgeous, spicy 2010 Domaine de la Mordorée Côtes du Rhône La Dame Rousse ($17), a steal at the price. Mordorée, by the way, has nothing to do with Mordor, Sauron, Orcs, or any of that; it’s local Rhône Valley dialect for “woodcock." Hence the one on the label. Farther afield, Castellare di Castellina, a top-notch Tuscan producer, nods to its inclination toward environmentally sound agriculture and wildlife preservation by featuring different bird species found on the winery’s estate on its labels. The 2011 Castellare Chianti Classico ($20) has classic cherry-tobacco notes and lovely finesse. Or, Luis Pato, one of Portugal’s top producers. His wines don’t come cheap, but his smoky, complex 2010 Luis Pato Beiras Vinhas Velhas ($27), made from the extraordinary (and little known in the US) Baga grape variety, is well worth the price. Pato, by the way, means “duck" in Portuguese. Or, you know, you could go sky’s-the-limit bonkers, and pick up the latest vintage of the Napa Valley cult item Screaming Eagle—the 2011 Cabernet Sauvignon, if you can find it, is a mere $1,500 a bottle. The plaintiff of the suit that started this whole topic off, Duckhorn, makes quite pricey wines, but its second label, Decoy (of course), is a little less rough on the wallet. 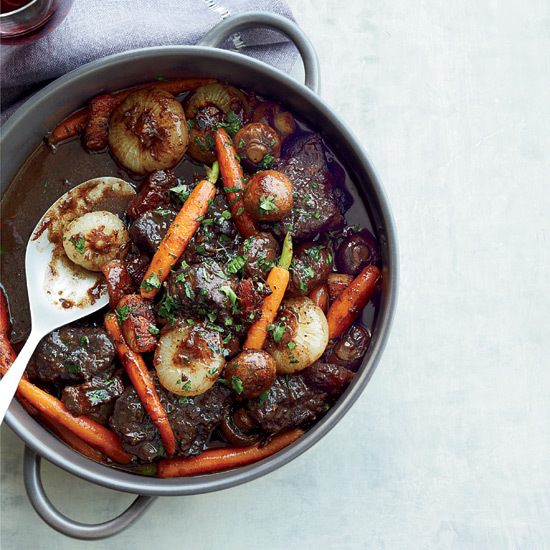 The 2011 Decoy Napa County Red ($25), for instance, is a rich, robust, Merlot-dominated blend that would be excellent with something winter-appropriate like Jacques Pépin’s beef stew in red wine sauce. And the Duck Commander wines? Good, I suppose, with anything you could blast out of the sky.